Updated November 4, 2016 – Starkey Labs SoundLens hearing aid is the company’s premier invisible custom digital hearing aid. This Starkey hearing aids features the company’s best technology in an invisible style. The Invisible-In-The-Canal (IIC) hearing aid is custom-fit to the user’s ear, and is designed to fit in the second bend of the ear canal. It is designed to be removed on a daily basis, helping to promote better ear health. The Starkey hearing aid features technology that eliminates whistling and buzzing, and allows for comfortable and enjoyable phone conversations. PureWave Feedback Eliminator eliminates virtually all buzzing and whistling that may be present in some other hearing aids. This advanced technology provides up to 28dB of added stable gain, helping to make open ear fittings available to a wider number of hearing aid users. Voice iQ2 technology enhances the noise reduction capability of the device. It helps to reduce background noise, while maintaining speech, helping to make conversations easier. This also helps to reduce listening effort and cognitive fatigue. This technology provides up to 20dB of background noise reduction. Automatic Telephone Solutions (ATS) makes having conversations on the telephone much more pleasant for those with hearing aids. This technology automatically detects the user’s telephone use, and adjusts the hearing aid to the optimal settings for telephone listening. Music and Television Processing technology makes listening to these devices much more enjoyable. A new memory program allows for better performance while watching television, while numerous music genre settings are designed to optimize sound quality, and the user’s listening enjoyment. The Starkey SoundLens 11 hearing aid provides a maximum output of up to 30dB reduction in 2dB steps, although the range varies by channel. Its compression threshold is 24dB in 4dB steps. It runs on a size 10 battery. Hi there in terms of speech quality will there be a large difference between the soundlens 11 vs soubdlens 7? This is sort of a double edged sword. The answer is “yes” and “no”; it depends on your hearing loss and the environments that you wish to use the hearing aids within. All Starkey hearing aids are going to be numbered in ascending models numbers using the base of 20 -30- 50- 70- 90-and 11. Some of the product lines will use that number system, others will add an “I” or a zero before or after the number. Usually the more modest product lines will be in the 20- 30 -50 groups and the more advanced in the -70-90-11. groupings. As the quality, complexity and depth of circuit increases- so does the number. Thus a 70 vs a 110 would mean that one is the more modest product within that line and the 110 the more advanced. If you have a non-complicated hearing loss and use the aid in relativly clam environments, you will see little difference between the two levels of product. As your loss becomes more complicated and as the environments you wish to use the aid within become more trying; you will see a great deal of difference in speech quality. Particularly in noise. The flatter and easier the loss is to fit, the less manipulation the fitter needs to do in modifying the hearing instrument to your needs. The more advanced the circuit, the more “tools” the dispenser has to shape the hearing aid to your needs. 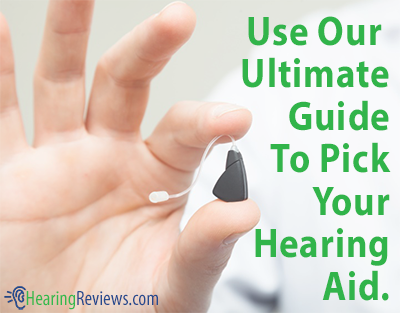 Most any hearing aid works well in a quiet or non-complicated situation or environment. 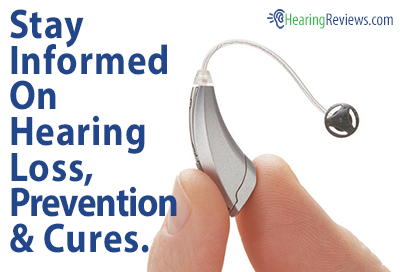 The mark of a good hearing aid is how well it performs in noise and in rapidly varying situations. I personally wear the 110 in the Wi line. I have found it to handle everything I have been able to dish out in my daily life. What is the difference between the 90 and 110? I have 3+ year old 90’s and am very happy with them, but I’m considering getting a new pair. I value simplicity! Thanks. How susceptible is the Soundlens to moisture? I sweat easily and have always had to take my hearing aids out. I have no problem doing this, but some situations cannot be helped. Are there any benefits and/or downsides to moving from a behind the ear to in the canal? I’ve traditionally had a behind the ear type hearing aid (for 20+ years now), but am considering something like this. I am a 35 year old with moderate to severe hearing loss with tinnitus and left sided vestibular deficit. I have worn hearing aids for the last 30 years and have had the chance to experience a full array of hearing aid brands and styles. My most recent purchase in January 2016 was the Starkey Soundlens ll. It took three fittings in my audiologists office before getting sent to Starkey headquarters in MN for a fitting. I can tell you getting fitted at Starkey was optimal as they fit it perfectly and I received them the same day. The following few days was an amazing experience. These hearing aids are by far the best sound quality and fit I have ever had. I work in a concrete building with horrible acoustics. With these hearing aids I have no issue. Noisy enviroments? Loud kids? Background noise? These hearing can handle it all while changing the sound itself. I never have to adjust the volume. It self adjusts all on it’s own. The clarity is like nothing I have ever experienced. Wind noise is gone. The tinny sound that other hearing aids struggle to adjust and rarely conquer is non existent with the Soundlens ll. I am very satisfied. I also use alcohol wipes to clean the outside of my hearing aids every night and if needed remove my battery doors as well and clean them. I also place them in a hearing aid dryer each night. I purchased Serene ReNew Hearing Aid Dry Box from Amazon. It works great. I’m curious I have moderate to severe hearing loss …are these strong enough ?